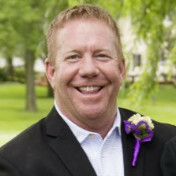 Tom Pritscher, FMP, LEED® AP, is a second-generation commercial contractor with more than 30 years of experience in the industry and is President of TEPCON Construction. Well-respected in the industry and by his many repeat customers, Pritscher is highly regarded for his team’s ability to work in high value occupied environments. He is the Co-Founder of DrawAlert and has been involved with IFMA since 1993.